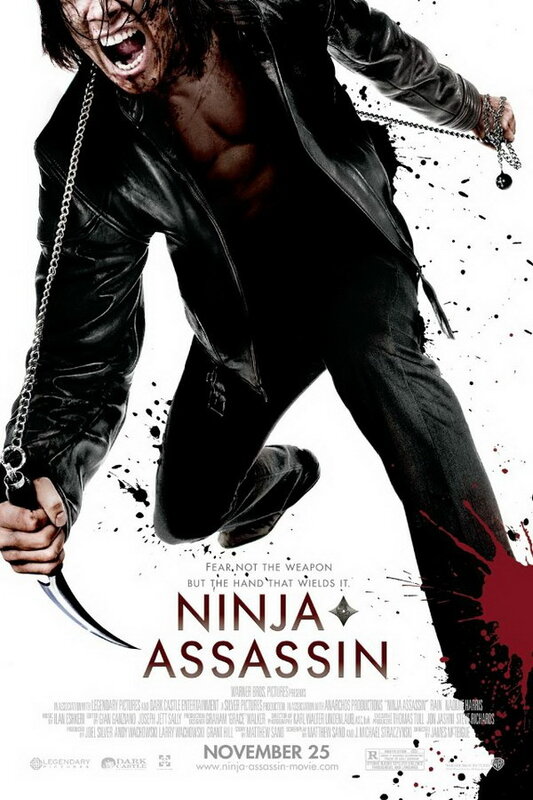 Ninja Assassin font here refers to the font used in the poster of Ninja Assassin, which is a 2009 American martial arts movie directed by James McTeigue. The font used for the movie title in the poster is probably Futura SH-Book designed by Paul Renner. The font is a commercial one and you can view more details about it here. In addition to Ninja Assassin, Futura typeface is also used in the following logos, movie posters or album covers etc., including: Licence to Kill, Big Lots, The Greening of Whitney Brown, Brick Lane, Aliens in the Attic, The Guilt Trip, The Social Network, Krispy Kreme Logo, So Far Gone (Drake), Party City, Rocket League, Milk, Github, PEGI Logo, Some Nights.